SAN BRUNO, Calif. -- The California Public Utilities Commission is considering an investigation into whether PG&E's culture and governance have contributed to safety issues including the deadly San Bruno pipeline explosion in 2010. A proposal issued by the commission on Monday calls for an outside review of the utility's organizational culture, policies, practices and governance to determine whether they adequately promote safety standards and accountability. be paid for by PG&E, CPUC officials said. The commission could vote on the proposed investigation at its Aug. 27 meeting in San Francisco. In response to the proposal, PG&E issued a statement saying the utility looked forward to a "constructive dialogue" with the commission on the steps it has taken to increase safety in recent years. "We've made incredible progress toward our goal of becoming the safest and most reliable energy provider in America but we have more to do and we won't rest until it's done and done right," the statement said. The CPUC in April imposed a record $1.6 billion penalty on PG&E for the pipeline explosion in San Bruno that killed eight people, injured 66 others and destroyed dozens of homes on Sept. 9, 2010. Despite the penalty, the largest ever imposed on a utility in California, and efforts to upgrade safety procedures since the San Bruno explosion, CPUC officials said that PG&E has continued to experience accidents and safety issues. The problems include a natural gas explosion in an unoccupied house in Carmel-by-the-Sea on March 3, 2014, a death at a Kern County power plant and two security breaches at the Metcalf Transmission Substation near San Jose, including an attack by armed gunmen in April 2013 and a burglary in August 2014. 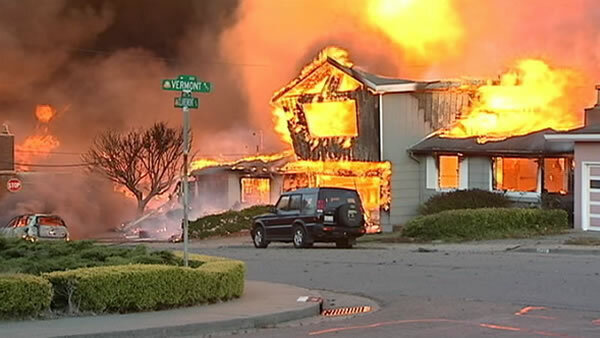 PG&E was fined $10.85 million in November 2014 for the Carmel-by-the-Sea explosion, which city officials said showed apparent record-keeping problems similar to those that played a role in the San Bruno explosion. CPUC president Michael Picker on Monday also released a proposal to increase public access to CPUC records by allowing them to be released in most cases without a vote of the commission and by clarifying which specific items are confidential or privileged. Under current law, any CPUC staff member who releases records to the public without authorization by the commission or a commission member can be criminally prosecuted.